The band’s frontman was found dead at his home in Essex on Monday morning. Ed Simons of The Chemical Brothers, who rose to fame in the 1990s along with The Prodigy in the emerging rave and electronic music scene, led the tributes with a memory of Flint on Instagram. 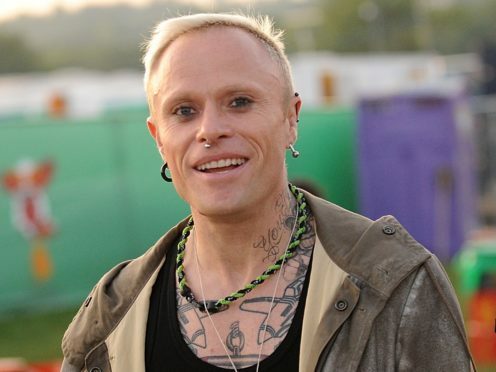 A post from The Chemical Brothers’ official Twitter account said: “so sad to hear about Keith Flint, we played many gigs with the prodigy over the years and they were always friendly and supportive. Glastonbury co-founder Eavis wrote that The Prodigy were the first dance act to play the music festival more than 20 years ago as she shared a message on Twitter. Along with a clip of their landmark set, she said it was a “huge, unforgettable moment”. 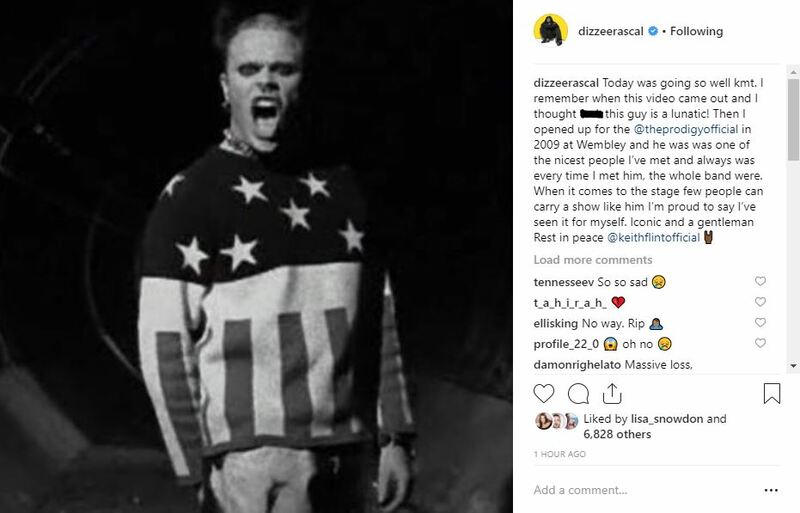 Rapper Dizzee Rascal shared a grab from The Prodigy’s music video Firestarter, and wrote: “I remember when this video came out and I thought f*** this guy is a lunatic! “Then I opened up for the @theprodigyofficial in 2009 at Wembley and he was was one of the nicest people I’ve met and always was every time I met him, the whole band were. When I was a raver and my mates were indie rock kids the Prodigy were the one thing we all liked. Keith Flint himself seemed like the exact point where the mosh-pit met the glow sticks. Where fury met ecstasy. A post on South West Four festival’s Twitter page said: “After the loss of Keith Flint, a legend of our scene, we’d like to send our condolences to his friends, family & fans. The Prodigy are scheduled to perform at the London-based music festival as headliners on August 25. After the loss of Keith Flint, a legend of our scene, we'd like to send our condolences to his friends, family & fans. We're processing the passing of one of the most important & iconic figures of the scene & we'll be providing an update as soon as we can. Music stars including Rita Ora and Plan B were among others sharing their sadness over Flint’s death. His Prodigy bandmate Liam Howlett claimed in a post on the band’s official Instagram that “our brother Keith took his own life over the weekend”.